The gift, which the couple discussed in an exclusive interview with the Associated Press, will be spread over the next five years. It is the biggest allocation to date of the $1.1 billion in Facebook stock the couple pledged last year to the nonprofit Silicon Valley Community Foundation. “Education is incredibly expensive and this is a drop in the bucket. What we are trying to do is catalyze change by exploring and promoting the development of new interventions and new models,” Chan said in an interview Thursday at Facebook’s Menlo Park, California, headquarters. Chan, a pediatrician, has so far shunned the spotlight and this was her first significant step into the public view. The two met while studying at Harvard and married in their Palo Alto backyard on May 19, 2012 – the day after Facebook’s stock began publicly trading in a rocky initial public offering that now seems a distant memory. In 2010, they joined Giving Pledge, an effort led by Microsoft founder Bill Gates and Berkshire Hathaway CEO Warren Buffett to get the country’s richest people to donate most of their wealth. Last year, Zuckerberg was No. 21 on the Forbes list of the world’s richest people, right behind Amazon’s Jeff Bezos and ahead of well-known billionaires such as activist investor Carl Icahn and philanthropist George Soros. He owns Facebook stock worth over $27 billion. In 2013, as the median yearly pay for U.S. CEOs crossed the $10 million mark amid a widening income gap, Zuckerberg took a symbolic annual salary of $1. Zuckerberg said the Newark experience is “a big influence on our thinking” with the Bay Area donation. Taking the long view, he’s quick to point out that the results in New Jersey are too early to measure. “I think one of the things that we took away from this is that we wanted to do our next set of work in a place where we can engage more directly with the community and a place that we care about a lot. 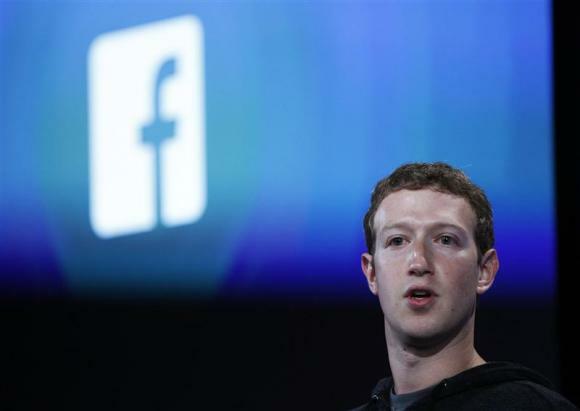 The Bay Area just fit that well,” Zuckerberg said. The couple’s broader philanthropic goals center on children, education and health, though Zuckerberg is also active in immigration reform. Last year, he and other tech leaders formed Fwd.us, a political group aimed at changing immigration policy, boosting education and encouraging investment in scientific research. Through Facebook, he’s also spearheading Internet.org, which aims to connect the more than 70 percent of the world’s 7 billion people who are not yet online. Connecting the world and children: That’s the stuff of dinner conversations in the Zuckerberg-Chan household. A child of Chinese immigrants who arrived in the U.S. on a refugee boat, Chan recalled an early memory that shaped who she is. It was the time her mother left to give birth to her younger sister and she was left with her grandparents. “I remember thinking when my mom was absent that it’s my turn to step up and care for my grandmother and my grandfather, and I’ve carried that with me ever since,” Chan recalled. She was two and a half at the time. “We talked about the education work that we wanted to do and she made this point to me that I wasn’t going be one of those people who (try to help by giving) money to places but had never taught anything myself,” Zuckerberg said. He didn’t think he’d have time to teach while running Facebook, but Chan set it all up. He says, “it actually ended up being awesome.” He still meets with the students regularly. “Well one day…but right now.” Chan said. Zuckerberg cut in, “That’s a yes,” to laughter all around. “Yes, but, we are a little preoccupied with other people’s children right now,” added Chan.